I love using manipulatives in my classroom during math! 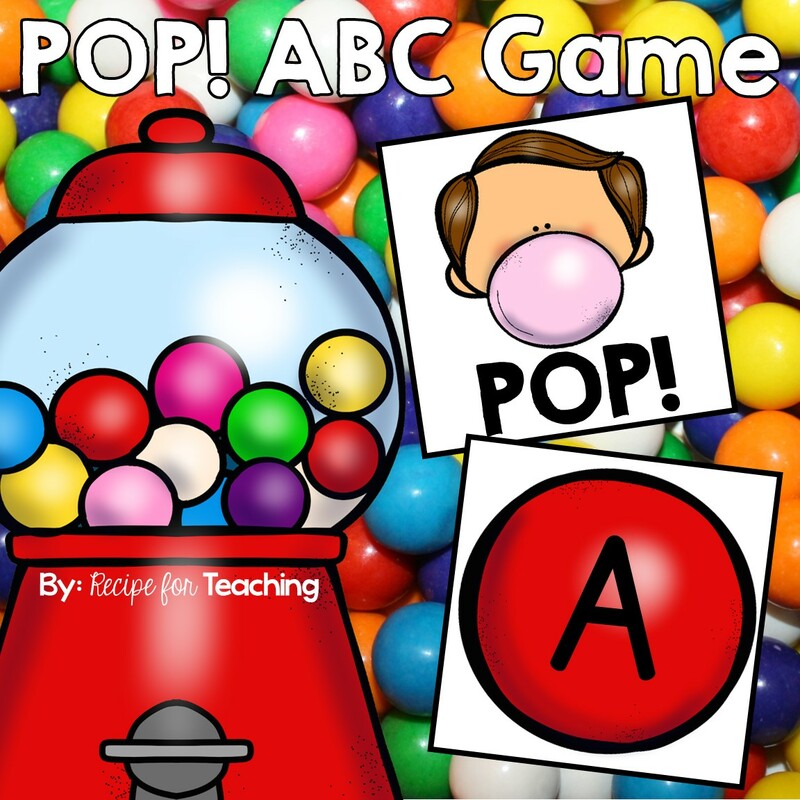 They are hands-on and really help my students understand math concepts. I also like to make sure my students understand the rules for using math manipulatives. 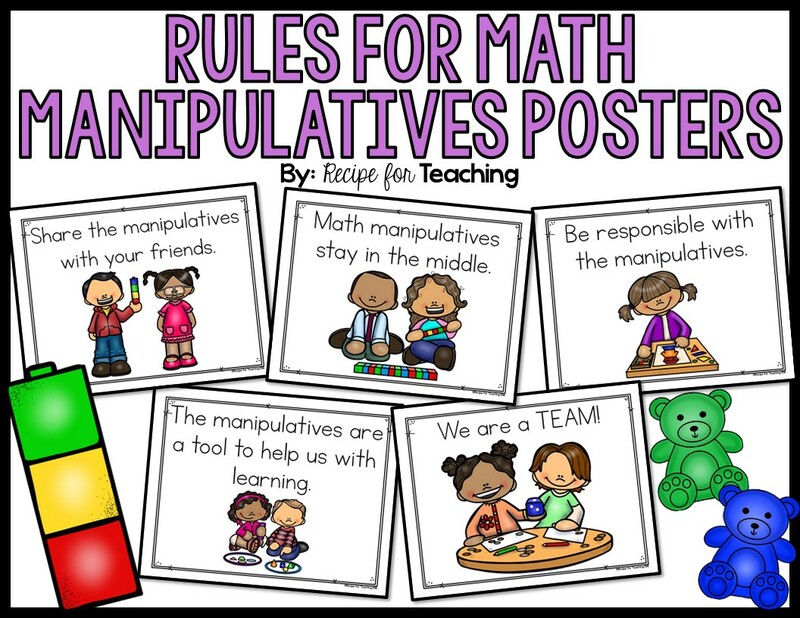 I just updated my "Rules for Math Manipulatives" posters and thought they might also be useful for you to use with your students. 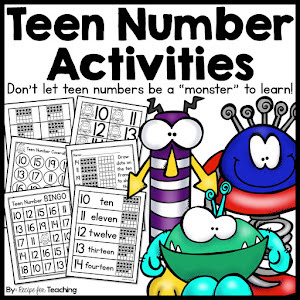 I always use these posters at the beginning of the school year when introducing math manipulatives to my kindergarten students. My students that have pre-k experience are usually familiar with how to use manipulatives, however for many of my students, this is their first time using them. Rule #1 - Share the manipulatives with your friends I definitely want my students to know they need to share manipulatives with their friends. 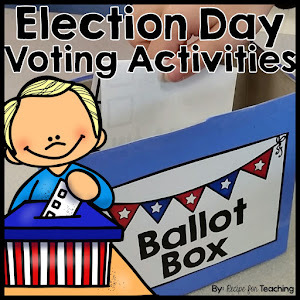 They should take turns and make sure everyone in their group gets a turn with manipulatives. Rule #2 - Math manipulatives stay in the middle. This rule goes along with sharing manipulatives. I like to teach my students to keep manipulatives in the middle of the space they are working. That way one person doesn't always have the manipulatives in front of them the whole time. Rule #3 - Be responsible with the manipulatives. We always talk about making sure we are responsible with the materials. This includes using them in a safe way, not throwing manipulatives, keeping manipulatives on the table or in our work space, etc. Rule #4 - The manipulatives are a tool to help us with learning. This is important because when we have inside recess days I let my students play with the manipulatives. 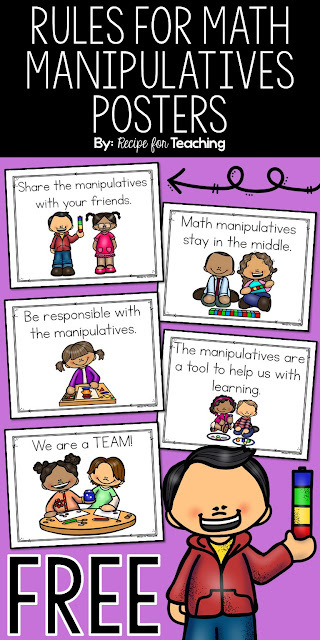 I want them to understand that when we are using manipulatives for math, they are a tool to help us learn math. Rule #5 - We are a TEAM! When we are together for 180 days, it is important for my students to realize that we are a team working together. I want my students to support one another, be kind to one another, and work together like a TEAM! I find that my students even remind their classmates of the rules throughout the school year. Just the other day, I heard a friend remind another friend of a rule (and we are at the end of the school year!). To grab your FREE set of Rules for Math Manipulatives posters, just click the image below!